You never know what you could make jewelry of. 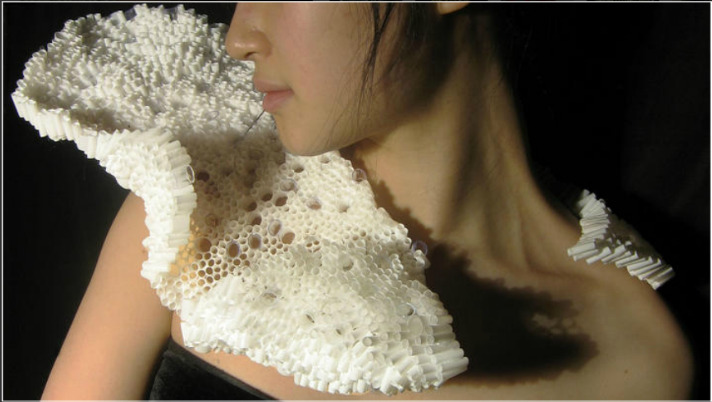 This necklace could have come out of a coral reef. Rather than ripping off the ocean, designer Liangchao Shao made it with.. plastic straws. Isn't it gorgeous? Who said that plastic couldn't be high fashion? 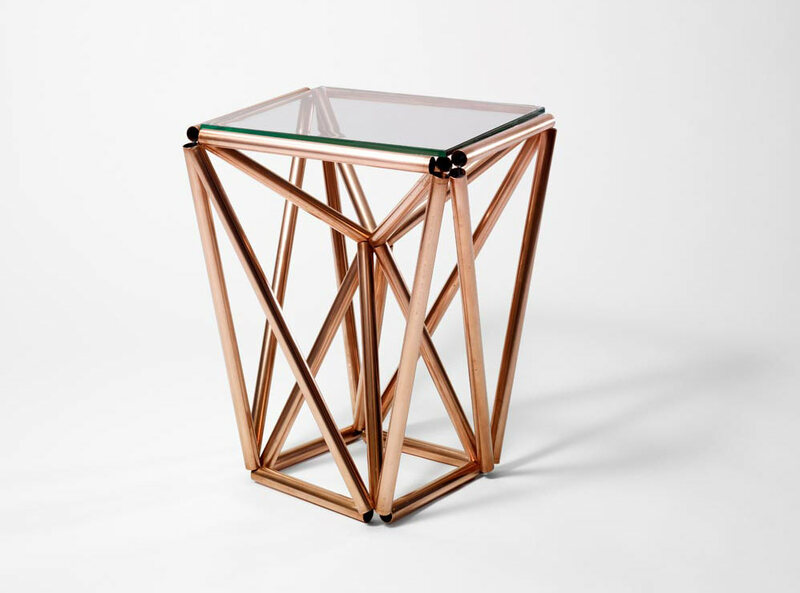 If you don't know what the parts of this table lamp are... you're way too young! How cool is this transparent micro-cassettes lamp? I love the minimal design, and the way the rolled tapes create the random circles look. As I mentioned before, I'm a disaster when it comes to electrical wires... so I will not try to electrocuted do it myself! 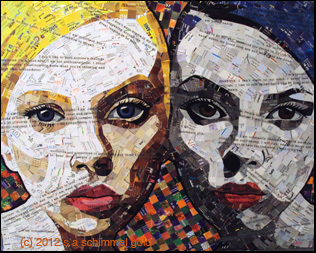 Collage artist Sandhi Schimmel Gold doesn't throw away any piece of junk mail, on the opposite, the more she gets, the better! She has an amazing variety of portraits where the basic ingredient is always junk mail. This is her last work, Gemini. Amazing, right? Copper pipes and zip-ties. This is pure genius! Plan your design, cut your pipes, string it with zip-ties... I know: it's always easier in fantasy-land rather than real life. But I could see myself wasting several nights trying to get this right! 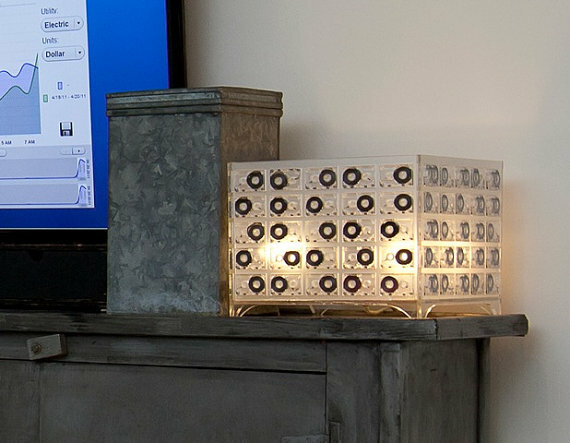 The ultra-conductive table reminds me of the himmeli mobiles: I believe designer Paul Loebach loves himmeli too, since he took the next step and made it into lamps. Great inspiration. So love it! I cant believe that neck piece is made from straws, wow.